Skip Wayne Ficek said he and 3rd Mark Wherrett welcome the opportunity to host, acknowledging they were fortunate to score 5 against the favoured host Thunder Bay team at the 2009 Provincials. "I hope we can put on an event as successful as last year," he said. 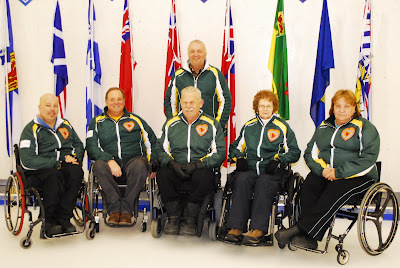 "Thunder Bay coach Dave Kawahara showed class and was sensitive to the needs of the players. I hope with corporate sponsorship Kenora can host an event that is even more competitive and exciting. "We hope to have a minimum of 4 teams and maybe more. Anyone interested in information can email me at wficek@shaw.ca"